The computerization of charting has become one of the strongest trends in documentation throughout the United States and Canada. Agencies of all sizes and descriptions are developing or purchasing computerized information systems that support medical practice, although many are reluctant to give up the security of a paper record with manually entered information. Paper charts are familiar to its users, portable, flexible and rapidly browsed.1 It may become impossible to replicate a lost paper record. Undetected tampering with paper records may occur, and it is impossible to determine who reviewed a paper chart. It may be difficult to find information within a paper chart. Handwritten charts are often illegible, increasing the risk of medical errors due to misinterpretation of or inaccessible data and the intricacies of litigation. Computerization of documentation provides some benefits for those involved in litigation. One of the most obvious benefits is the creation of legible records. Computer-printed records are completely legible, therefore eliminating the confusion caused by guessing at the meaning of handwritten words. The identities of the healthcare providers are easy to determine, as each entry is followed by either initials or a full name and status (MD, RN, LPN and so on). If the entry is followed by initials, somewhere else in the document the person’s full name will appear. The programs which incorporate the facility’s standards of care prompt the healthcare provider to enter the essential information. For example, an admission assessment would include information that would identify the patient’s risk for skin breakdown or for a fall. This type of prompting focuses the nurse’s attention on key clinical issues and reminds the nurse to collect and enter the data that would fulfill the standard of care. It is possible to determine who has accessed an electronic chart. For example, Registered Nurse Charles Cullen, who confessed to killing many patients, was finally caught in 2003 through the use of computers. His excessive use of digoxin, a medication used to kill his victims, was preceded by accessing medical records of patients to whom he was not assigned. The digoxin was stored in a computerized drug dispensing cart, which recorded his removal of the drug. 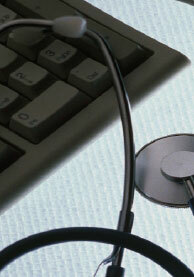 Tampering with the medical record is much more difficult to do with an electronic system. Software programs contain a way to correct mistaken entries, such as an incorrect entry, misspelled word, or typographical error. A clock embedded in the software program indicates the precise time and date of an entry, which makes it impossible to backdate information to make it look as if it was entered earlier. Software programs contain a feature that makes the entry unalterable after a certain time or event. The typical method is to make the entry unchangeable once it is authenticated. There is a regularly scheduled backup time to store data, making it impossible for someone to delete previous entries once they are saved. Failure to authenticate a medical record may permit alterations of data after the entry should have become permanent. For example, a nurse who fails to authenticate nursing notes until the end of an eight hour shift may make changes after an event has occurred. A software solution that deals with this issue may include making an entry unalterable after a certain period of time, such as within a few minutes. On the other hand, an operative report may not be considered permanent for one or more days, thereby giving the physician the opportunity to review and correct what was previously dictated.3 The attorney should be alert to the possibility that the original dictation was altered or a substitute operative report was prepared. Some electronic medical records have the capability of assembling and printing out all of the data related to specific aspects of the patient’s care. For example, all of the nursing entries referring to elimination, skin integrity, or patient education are collected and printed out in chronological form. It becomes difficult for the reviewer to identify a picture of the patient’s condition at any one point in time. A common complaint about computerized documentation is that some of the individuality of charting is lost. Since the same stock phrases are used over and over, after awhile the charting on the patients ends up sounding alike. While this is also a potential pattern in manual documentation, it is more clearly evident with computerized documentation. Although the software programs usually allow free text entry (narrative notes), many healthcare providers either don’t know how to type or don’t take the time to create free text entries. This can create frustration for the attorney trying to obtain a clear picture of the patient’s status. The assistance of a legal nurse consultant may be invaluable in deciphering data and assembling a chronology of care. Free text entries are brief and may not adequately describe an incident or series of events leading up to an emergency. This greatly increases the difficulty in analyzing liability in medical malpractice cases. The adage “garbage in, garbage out” applies to the computer medical record just as it does to other aspects of computer programming. Incidents may increasingly occur in which clearly inaccurate information has worked its way into the medical record, but has not been questioned by healthcare professionals because computerized information is perceived to be infallible. No machine can replace a healthcare professional who can critically evaluate patient data and question information that does not make sense. Attorneys and healthcare personnel must guard against the temptation to deify the computer, keeping in mind that the computer is only a tool to enhance documentation. 4. “Computerized Medical Records” in the book, Medical Legal Aspects of Medical Records, published by Lawyers and Judges Publishing Company.